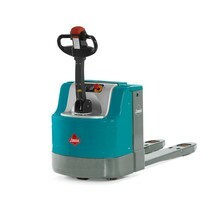 The EJE M13 was developed specifically for use in small and medium-sized businesses with occasional need for a goods transport solution. 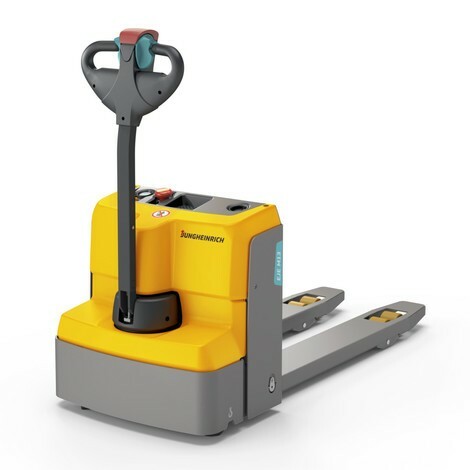 The 0.6 kW drive motor assists you in transporting pallets and goods weighing up to 1300 kg over short distances. 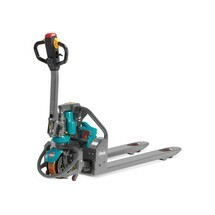 Thanks to its compact design and short headlength of just 435 mm, the EJE M13 is extremely agile and can be used safely in even the tightest of spaces. 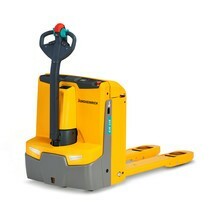 You retain an optimum view of the fork tips at all times. 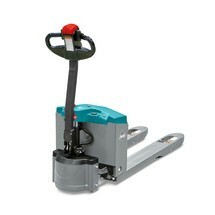 Two sprung support rollers ensure safe travel with reliable stability in corners. 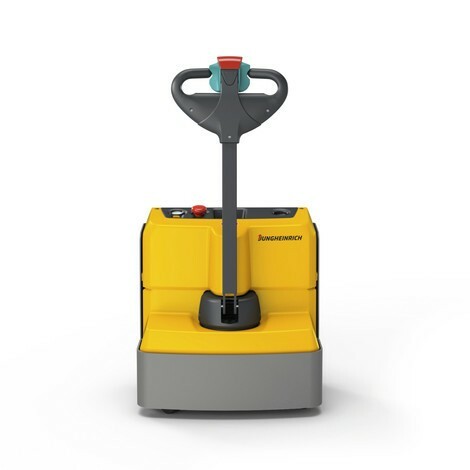 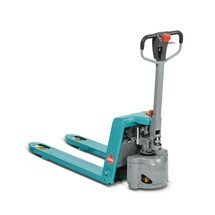 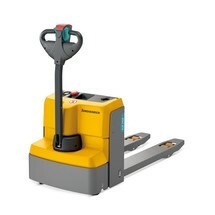 Enjoy a cost-effective entry into the Jungheinrich electric pallet truck range by purchasing the EJE M13 from our shop.